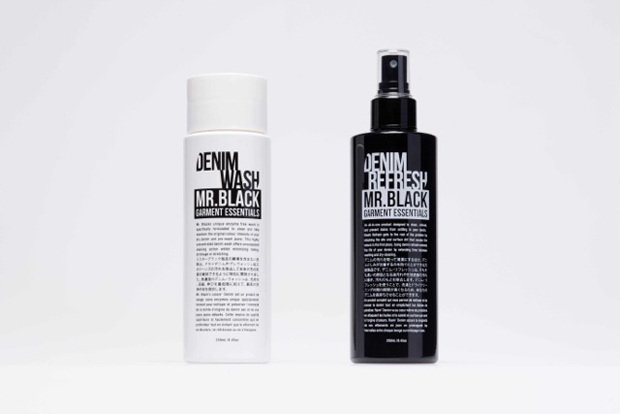 Denim heads can rejoice as Mr. Black’s has formulated two unique bottles of care product specifically for those dry denim lovers. Now, anyone who knows anything about denim will already be aware of the 6 month rule; if you’re repping a pair of dry / raw denim jeans, don’t go anywhere near a washing machine for at least 6 months. To some, this may come as a shock, maybe even disgusting. If so, you had probably best stop reading this now, because you’re already out of your depth when it comes to indigo. For those of us who have ventured past the 6 month mark and into the greasy, faded future, we are aware that denim can obtain unwanted additions on it’s path to characterful beauty – stains, sauces etc. Here is where Mr. Black comes in. 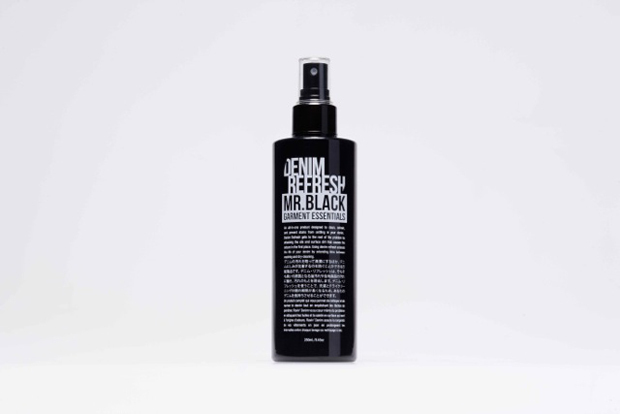 He doesn’t want you to wash your jeans either (thankfully), but suggests a little spray of his refresh formula to help remove the unwanted addition of a stain. If you really are going to venture to the laundry room, then he has created his enzyme free Wash so that you can wash your denim without panicking. Now, purists will simply write this off straight away, having always harked that you should only ever wash denim in water and water alone. Each to their own I guess. But let’s be straight – you aren’t going in hard unless you’re wading into the cold British sea and rubbing them by hand. 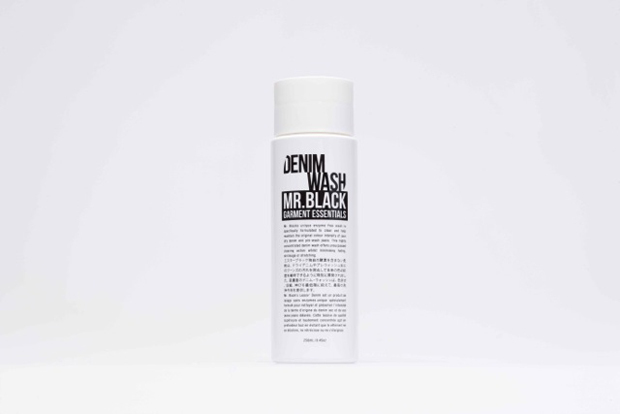 For those who aren’t as committed as the salt washers, the bathtub shrinkers or the freezer smell removers, but at the same time aren’t in that horrible legion of uneducated denim wearers who wash their jeans as often as their underwear (shame on you), welcome to the world of Mr. Black’s. 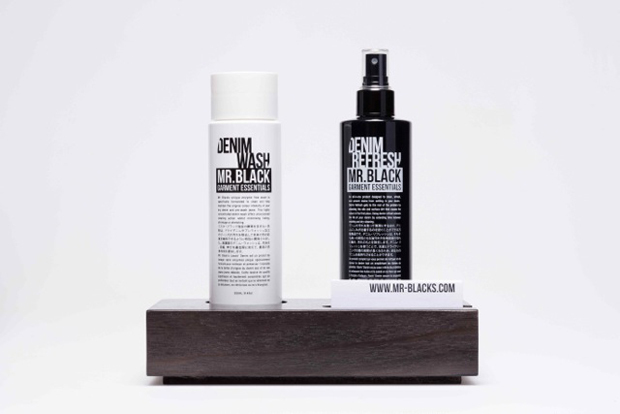 You can find Mr. Black’s Garment Essentials in Liberty London now, as well as Selfridges later in the week. Will be getting this, at the +12 month mark and the HP sauce marks are not a good look. Dudes is filthy out here.